The Honda Accord Sedan boasts a range of amenities, like a rearview camera, One-Touch Power Moonroof and leather trimmed seating, so find your Accord today! 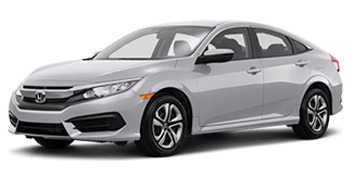 The driver-friendly priced Honda Civic Sedan was built with you in mind, offering a turbocharged engine as well as a fully independent suspension. From its sporty design to its Honda Sensing™ technology features, the Honda CR-V provides for your on-road needs with ease. 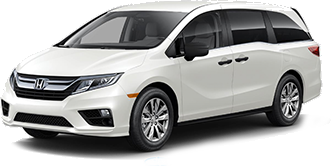 The 2018 Honda Odyssey has been completely redesigned, so don't miss your chance to buy or lease this innovative new model today! Ceilidh Honda is a new and used Honda dealership that serves Pictou County, NS drivers. Our team of Honda professionals is dedicated to your positive car shopping experience and will happily create a personalized shopping plan so that you can find a reliable mode of transportation that complements your needs with ease. Don't hesitate to contact our team to learn about the models we have in stock or to get a 2018 Odyssey test drive scheduled! Here at Ceilidh Honda, we provide quality new and pre-owned models. We also offer auto loan financing will introduce you to our Lease & Finance Specialist and will review all of the financial assistance available. If you already own a Honda vehicle and are looking for an experienced team of factory trained professionals to assist with any Honda Civic or Honda Accord maintenance. Contact our service department at your earliest convenience and note that we repair all makes and model vehicles. We look forward to speaking with you soon! Our dealership has a range of new Honda models for sale, so make your way over to our convenient New Glasgow, Nova Scotia location today! 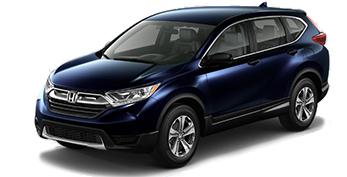 Our team will help you find the Honda CR-V that you've been looking for or will review our current lease offers so that you can secure a stylish ride. Get your vehicle search started right here on our website and contact us when you're ready for a test drive. Our new and used Honda dealership has a dedicated finance department that will walk you through our lease incentives and help you explore the loan options that are available. We are proud to work with all drivers in Pictou County & Antigonishn, NS so don't hesitate to contact us even if you currently hold a less than perfect credit score! We'll work diligently to ensure we are presenting you with all viable loan options. Here at Ceilidh Honda, we offer genuine Honda parts and accessories for sale, so if you're preparing for an at-home repair, be sure to visit our new and used Honda dealership's parts department in New Glasgow, Nova Scotia before getting started. Our professionals will review the benefits that come from only using items that have been designed for your Honda trim, and we can help you place an online OEM order! Here at Ceilidh Honda, we not only have new models for sale but used cars to explore as well! Our team of professionals will introduce you to our affordable Honda inventory we have in stock, the pre-owned vehicles we carry from other automotive brands and can review the inspection process each option must pass. We also offer fair vehicle appraisal services so that you can upgrade your car with ease! Ceilidh Honda's service department employs factory certified technicians that will cater to the health needs of your Honda Accord, so use our website to schedule a service now! We service all makes and models. Our prices are competitive and our team experienced, so don't hesitate to get your new or pre-owned vehicle in for a much-needed oil and filter change today. We look forward to caring for your ride soon. Our user-friendly website has a range of online resources to take advantage of, so feel free to browse our site now! You can apply for Honda auto loans, stay up-to-date on our service specials or can get directions to our New Glasgow, NS location near Antigonish. Shop our inventory and be sure to contact Ceilidh Honda when you're ready for a test drive!